Robert Blandon is the world's greatest puzzleologist. Crosswords, Rubik's Cubes, Sudokus - he can do them all. When he flies to Florence to visit a renowned professor, Blandon finds himself drawn into a mysterious web of underground tunnels, secret societies and really hard anagrams. 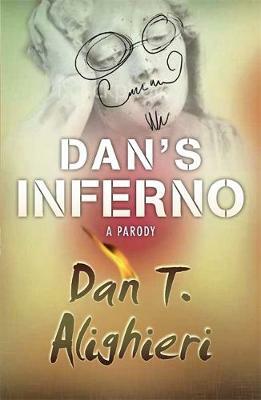 Extensively researched by looking at Wikipedia and talking to a man in a bar about conspiracy theories, Dan's Inferno is a must-read for anyone who thinks words are more exciting when they're in italics. Like the fourteenth-century epic poem that inspired it, this is a compelling, timeless masterpiece you haven't read, and is guaranteed to shock, awe and remind you of bestselling novels of the twenty-first century. This is the ideal purchase for readers who prefer a little more humour in their generic genius protagonist.